Alexis is bubbly perfection, and the way Joey makes her laugh is priceless! He’s a sly jokester (who I’m convinced is just a giant teddy bear), and conversation came easy with them both. They remind me of two teenagers running around town completely obsessed with each other and not caring who knows! Their zeal for life is obvious; their big grins are infectious, and their laid back personalities make me low key obsessed with being their friends (is that too stalkerish?). Seriously though, what's better than two people loving life and loving each other?! 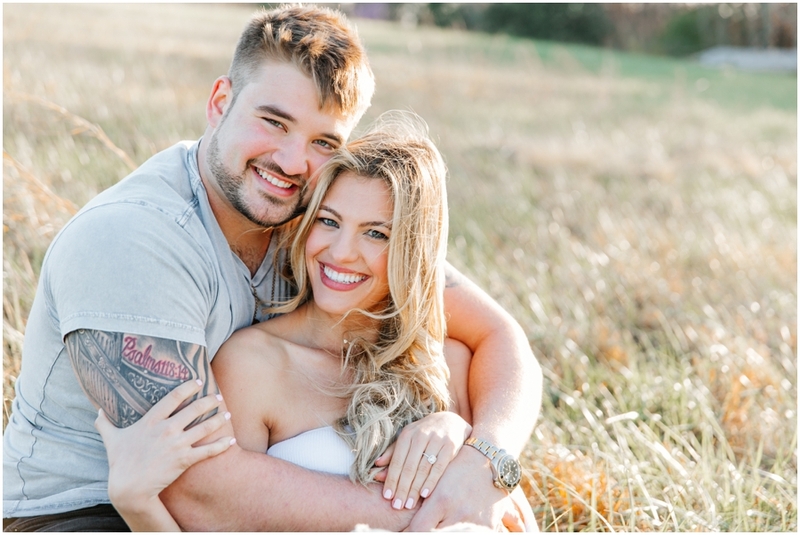 Joey, a former University of Florida football player, has been smitten from the beginning. After following Alexis on Instagram once told about her, he spotted her at one of his games. Alexis, raised in South Florida, is a stunner, so it didn’t shock me to hear Joey had to keep his head down to concentrate after spotting her!! I LOVE IT SO MUCH. These two are currently learning life in Georgia (which includes way less beach trips and tanned skin) and adjusting to life post college. Alexis is pumped for all the babies marriage will hopefully bring (which got a few eye rolls from Joey), and lawwwwdd they will make some pretty ones amirite?! I have no doubt these two will take on whatever adventures are ahead with SO much love, laughter, and joy! A + J, thanks for trusting me to capture this crazy beautiful love you have for each other. You guys are gold!